The days of King Arthur are exciting to read about. The tales that come from the round table and the legends that surround this time have entertained people for a long time. Now, you can be transported back to the days of Knights and Ladies when you are playing the mobile casino game Avalon. Avalon is the island that King Arthur went to recover from the wounds that he suffered in battle. It is also the place where the Lady of the Lake gave him the sword that he is so famous for: Excalibur. All of the elements of this magical time are included in the Avalon game. The Island of AvalonThe Chest which has the King’s treasure in it. Enjoy the image of the Island of Avalon rising up from the sea through the mist. The game not only offers a lot of fun play, it also offers high quality graphics that make playing that much more fun. While the images and graphics of a mobile game are important, they are not the only reason that people will want to play Avalon. The chance to win is another reason that people will want to play Avalon. The game offers chances to win by matching the images, or by playing one of the bonus features that can happen. Avalon is a wild symbol that makes it easier to match the images. It can take the place of an image or it can offer you a chance to win big on its own. The lady of the lake offers a chance for players to get into the bonus features. 3 Ladies of the Lake will get you 12 free spins. 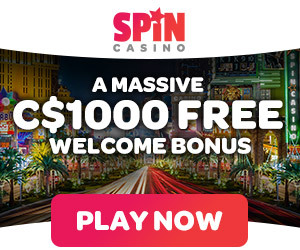 Not only do you get the free spins but anything you win will be multiplied. The multiplier can be as much as 7 times the regular jackpot. When you are playing your free spins, the Avalon symbol is not the only one that is wild. The King’s chest is an additional wild symbol to help you win even more. The top jackpot for the regular game is 15,000 credits. If you are in the free spin mode the top jackpot can go as high as 105,000 credits. It is truly a chance to become a big winner. Avalon is a very popular game because of all that it has to offer. If you want to play the game, you do not have to do very much. Follow the 4 steps and you will soon be playing and you may even find King Arthur’s treasure.